The setting of Saint Laurent’s SS19 menswear show was inspired by the venue founder Yves Saint Laurent used in 1978 to launch his now iconic Opium fragrance. Wanting to ‘represent the icons of 1970’s New York’, the 69-piece collection showcased the brands expert tailoring alongside sheer flouncy shirts, Western accessories and typically skinny silhouettes. 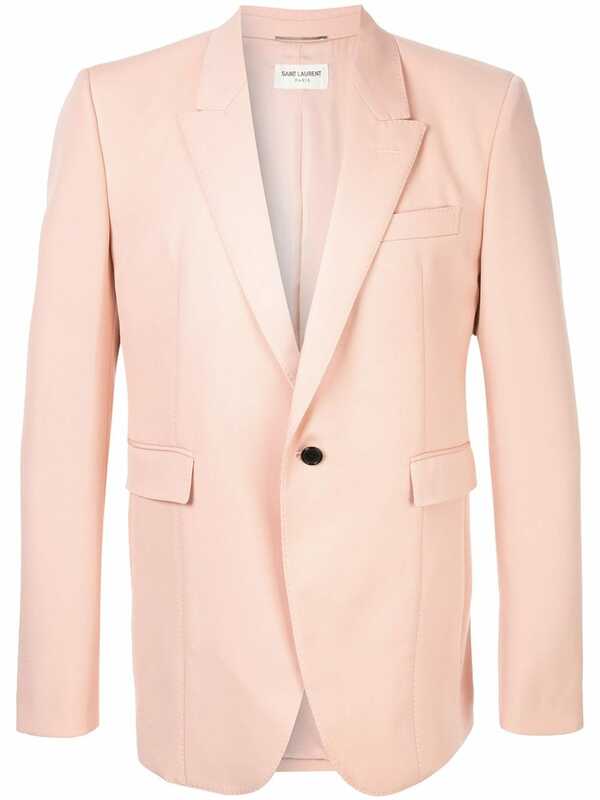 This rose pink silk, cotton and wool long blazer from Saint Laurent features notched lapels, long sleeves, a front button fastening, a chest pocket, front flap pockets and a rear central vent.